We seek to provide the best possible home inspections. Excellent personal service is our goal. We encourage our clients to attend inspections, and we provide clients and realtors with expertise, support and resources. With 4 Inspectors on our team, we can schedule your inspection in as soon as 3-5 days. We service Santa Fe, Los Alamos, Albuquerque and all areas in between. 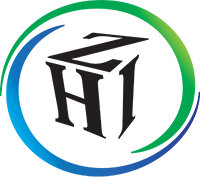 Zsako Home Inspections is certified by the American Home Inspectors Institute, adhering to the organizations’ professional code of ethics and standards of practice. We take pride in objective, thorough reports. 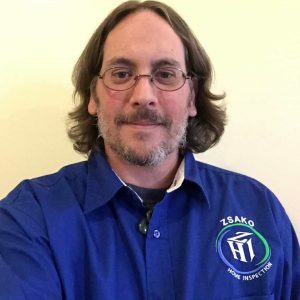 Istvan Zsako, Owner – I am a licensed Residential and Commercial Contractor who is a Certified Home Inspector by ASHI (American Society of Home Inspectors) and AHIT (American Home Inspection Training). With over 22 years of Home Building, Remodeling and Home Maintenance experience, you will receive the benefit of an experienced professional, in home construction, to assess the condition of your home purchase and evaluate existing problems that will need correction. I have had the pleasure to work with many excellent and reputable builders in Santa Fe such as Hulocker Homes, Casa Solterra Design, Denman Construction, Tierra Concepts, Baglione Custom Wood Works, Zachary’s Homes and Sierra West Design to name a few. When I first came to Santa Fe, in 1998, I was drawn to the beautiful mountains overlooking Santa Fe. I could not stay away and decided to move to Santa Fe to live. I enjoy hiking and camping in the mountains, and canoe on the rivers and lakes nearby. Sitting around watching the sunsets never gets old. The mountain snow cover in the winter is great for going snowboarding and sledding. My latest construction project has been the remodeling pf an adobe home and converting the structure to use solar electricity and solar heated water to heat the home. The idea of using the suns energy to reduce the impact on the environment and reduce day to day living expenses has been an inspiration. I never get tired of the 300+sunny days a year in New Mexico! Over 3,000 Inspections Performed and Counting! Johnpaul Vincent, Inspector has a vast amount of experience in the reconstruction of older homes. Demolition and remodeling of homes in the eastern part of the country. He has been apart of rebuilding old barns, repair and maintenance of hundred year old houses, and roofing maintenance on historic homes. 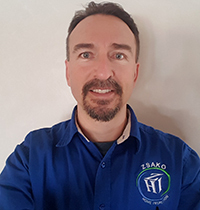 He has been trained and worked with some of the best home inspectors in Maryland and now proudly serves here with Zsako Home Inspections. Tim Perry, Inspector, has an extensive background in commercial and residential construction. Commercial work with military and government Construction. Worked with Kaufman & Broad, Pulte Homes in California and Centex Homes in California. As the owner of his company he understands the importance of quality work and customer service. 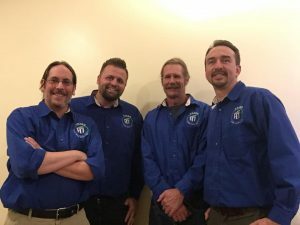 He actively volunteers in serving the city of Santa Fe. Tim is happily married and has four children. He enjoys sports and music in his free time. 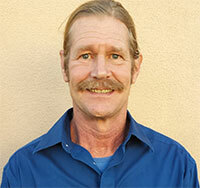 Gordon Stephens, Inspector, has over 35 years of experience in maintenance and construction of homes in Santa Fe, NM. Working with contractors and builders such as Tom Woods, Sharron Woods, Pinson Brothers and Mark McFerrin to name a few. 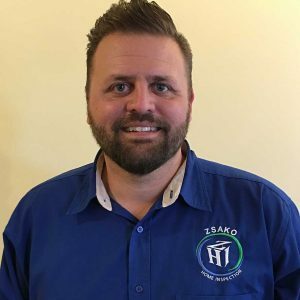 He is now bringing that experience and knowledge into the consulting field of Home Inspections.